Developer NetherRealm Studios is hosting a 'Mortal Kombat 11 - The Reveal' stream today to show off the game and get us unhealthily excited for the big release this April. The show is scheduled to start exactly 45 minutes after this article goes live (so that's 10:30 PST / 13:30 EST in North America, 18:30 GMT / 19:30 CET in Europe) and can be viewed above. If you're reading this after the event has taken place, the video should still be perfectly intact for you to rewatch at your leisure. The game was first announced as a surprise at The Game Awards in December, with its first trailer and a selection of screenshots also being shared. The game was confirmed for Nintendo Switch on the same day, with a 23rd April release date planned; it appears that the European release has been delayed until 10th May, however. Let us know what you're hoping to see from the show in the comments. If you're actually from the future and you've already watched it, let us know what you thought instead! Haha only reason I’m watching this. I've never played any of MK games before, maybe this will be my first. EXCLUSIVE REVEAL! : Scorpion has smashed skulls, smashed Earthrealm, and now... he's Smash-bound in DLC Pack #2/3! No, seriously, even if it isn't revealed here, I'm still predicting Scorpion or Sub-Zero as a playable character in Smash's DLC pass. Yep, I'm from the future and I must say that, sadly, the Switch version has been cancelled! The only way I’m getting this is if we get Mario hats on the Switch. Finally MK is returning to a Nintendo console! Now we just need a Direct in January for the month to be complete ! @Mrtoad Nothing can be more entertaining than that Sonic livestream, regardless of how bad/good it was. It will be revealed, that in the Switch version, all weapons will have added directional controls, ARMS-style, courtesy of the JoyCon. I can't imagine we'll see any footage of the Switch version. But I'm mostly interesting in seeing some of the roster for now. 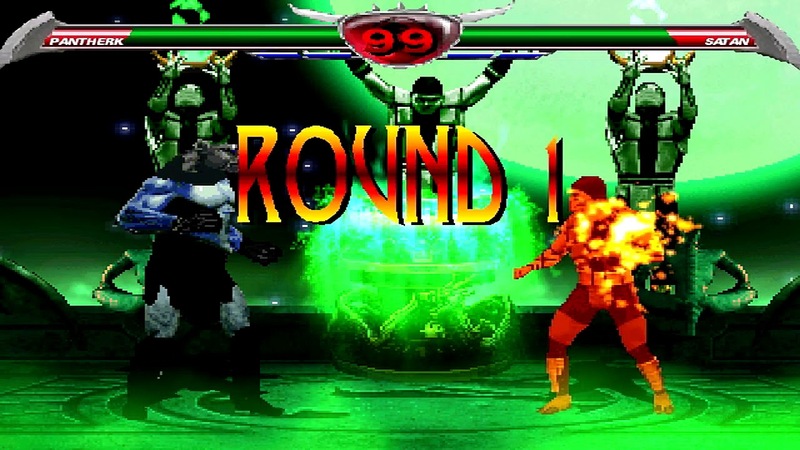 To celebrate the upcoming release of MK11, UMK3 is available on all platforms RIGHT NOW!!! Big Nintendo reveal: Switch version being developed by the creators of the Switch Port of WWE 2K18, runs at a locked 23 fps, 240p resolution. @MasterGraveheart You know, Scorpion and Sub-Zero would very rather likely. Also here's a nother thing, given their origins, they would just get the Ricther/Simon treatment and fudging make them echo fighters of each other. I mean, if you go with their classic MK 1/2 set-up all they need to do is change up their special moves. @SuperCharlie78 go to MK11 on Wikipedia. The 'Fatal Blow' is very useful if impaling the enemy through the chest, arms, legs, neck and head isn't enough. Was it just me or did I saw BOTW's Link when they showed a new logo? Mmm this games haven't changed a lot since MK9, but what the hell! Playing it on the go will be awesome! Looking good, day one for me. Does any one know if their are strategy guides for this game since Prima Games went out of business? I really dont want to look it up on the internet and then have to print out twenty to thirty pages. Blimey, I'm chuffed to bits this game is coming to Switch! It looks absolutely gorgeous, and the over the top finishing moves are as gruesome as ever, and then some. Love it! @SamuraiPanda That would have been nice. 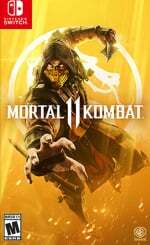 Mortal Kombat has been very solid ever since the reboot, I'm sure I will be giving this one a shot too in some form at some point. The trailer definitely looks good, glad to see Baraka back in action. Hmm, Am i the only one concerned about the lack of Switch presence under the collector’s edition reveal? Hmmm. It looks amazing and I loved the first game (on the Amiga) but now... I dunno, it just seems the law of diminishing returns, the ever increasing gore. It gets boring. Just a straight fighting game please, no fireballs or other malarkey. Dead or Alive would very much suit, I really enjoyed the 3DS version. Just speaking personally of course, I'm very happy the Switch gets MK11. So... do we have any confirmation this is on Switch? Not seeing it anywhere... Are we just including this on the Nintendo blog for laughs/clicks? Anyway, they better include Pantherk or it's a no-go for me. It was confirmed for Switch when they first revealed it last month at TGA. @ilikeike Where you got that info? @MsJubilee I didn't get it anywhere but my poor sense of humor. I was just trying to make a stupid joke, no one actually knows how MK performs on Switch yet. @ilikeike Oh okay. I was actually worried, knowing NetherRealm they would outsource the Switch version to an inexperienced team. They pulled that stunt with MKX on PC. @MsJubilee Given how much they've largely neglected the Switch version so far (no special edition, no beta, possible delay in Europe) it wouldn't surprise me if they'd outsourced it to some sub-par port studio at this point. @ilikeike Mark my words. It's gonna be High Voltage Studios, the crew that made the MKX,MK9, and Injustice 1 terrible PC port.